Thank you to Hachette UK, Tor Teen, Abrams and Chronicle UK, Jennifer Brown, Becca Fitzpatrick, Harper Collins International, and National Bookstore! Wow! Great haul! I got one or two of these as e-galleys. OOOOMG! 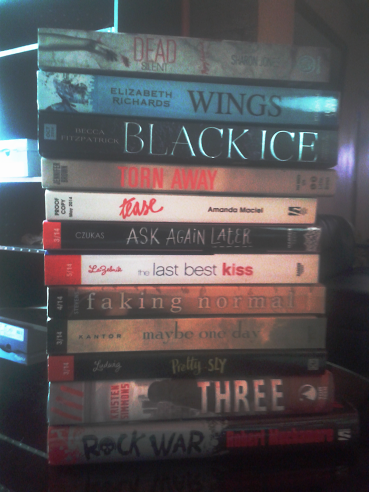 Sooo envious of the physical copies of Black Ice and Wings!! Dying to read those two! Happy Reading! Those are all awesome! I loved Unhinged!